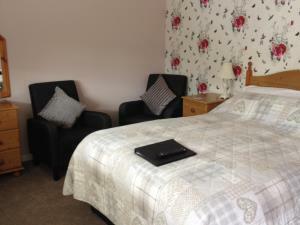 Comfortable and cosy family room with en-suite shower, ground floor room with own private access. Room 6/family sometimes limits bookings to 2 or more days. Room 8/family sometimes limits bookings to 2 or more days.